Singers of All Levels Welcome! Monadnock Chorus, founded in 1959, is fortunate to be part of the vital arts community that encompasses the Monadnock Region. 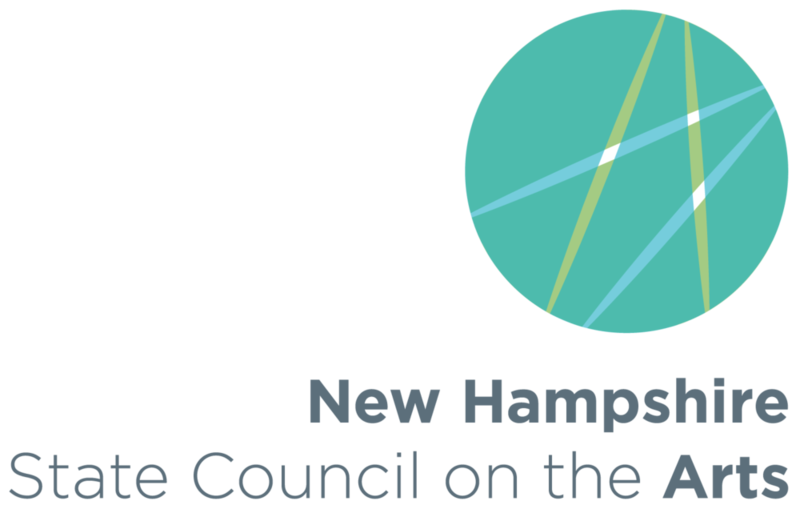 Our core mission is to provide choral singing opportunities for area residents and to bring quality choral music to the Monadnock Region. Key to our long term success is the promotion of choral singing as an art form among residents of all ages. We prepare and perform four ticketed concerts each year--two in December and two in May. A smaller choral ensemble, the Monadnock Chorus Chamber Singers, prepares and performs six or more concerts each year in different venues throughout the Monadnock Region. We won a Ewing Arts Award in Performance Arts! The Monadnock Chorus hopes to increase a love of choral singing among young people via our SING! initiative. Monadnock Chorus waives all membership costs for students who are accepted. 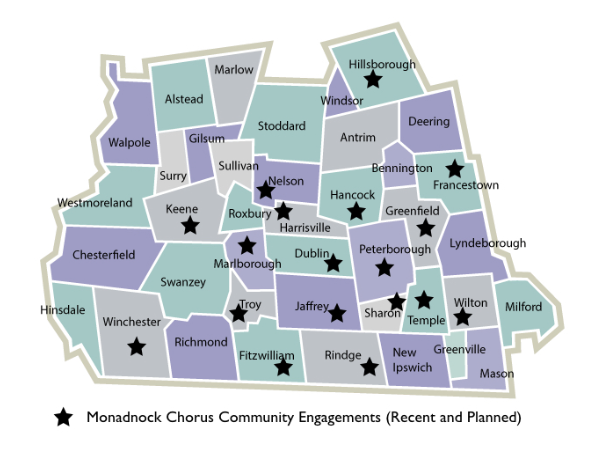 We recently embarked upon an initiative to sing in all 40 towns in the Monadnock region over time. Our Monadnock Summer Sing offers area residents the opportunity to participate in a public sing of a major choral work. Rehearsals are on Wednesdays at 7:00 pm.